Tips on health, grooming, and litterbox training. Find the right rabbit for you and help him live a long, happy life. 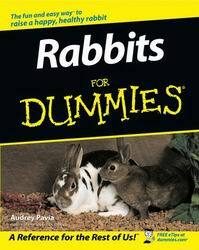 Get a jump on the best care for your rabbit! This friendly guide is packed with informative photos and how-to sections on housing, feeding, and health care. You’ll also get tips on understanding bunny body language and helpful hints on acclimating your new bunny into your household or backyard.